$125.00 for the pen shipped with the refills. 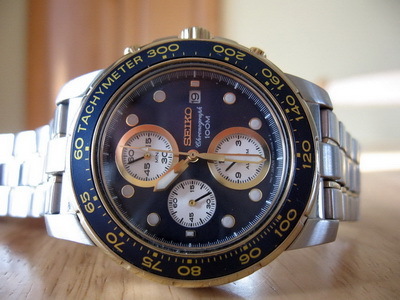 Seiko "Spirit" SCVS003 model. Was sold for the Japanese market only. First owner, bought from seiyajapan.com. 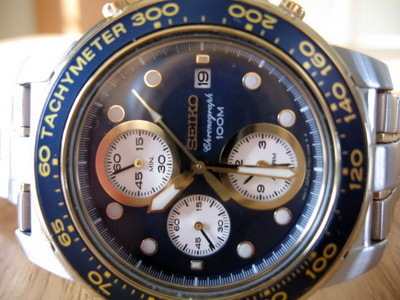 Now a discontinued and desireable model. Sapphire glass, glow-in-the-dark hands and indicators. 6R15B automatic movement with second hand hacking/stop and manual winding option. 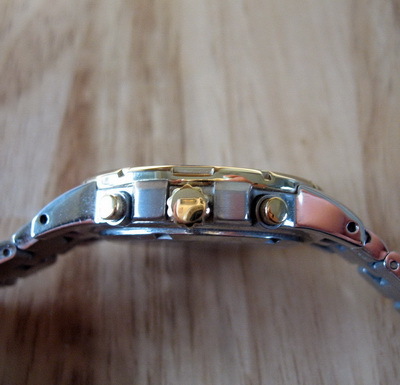 40mm case including crown. In NEAR MINT condition. Classic stylings and lines. Includes original box and papers. 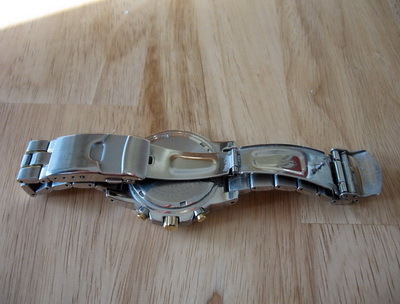 I just sent it to a well regarded AWCI certified watchsmith/horologist for service and regulating six months ago, and it now only runs +3 seconds fast after SEVEN days (12 hours worn, 12 hours off stored dial up per day). 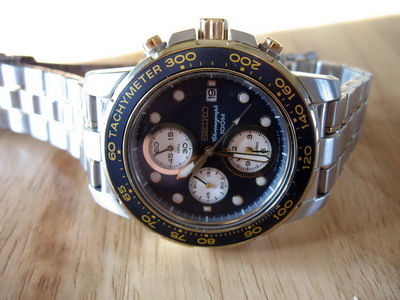 This exceeds one of the COSC chronometer standards which is -4/+6secs average rate per day. $350 shipped USPS Priority mail with delivery confirmation. 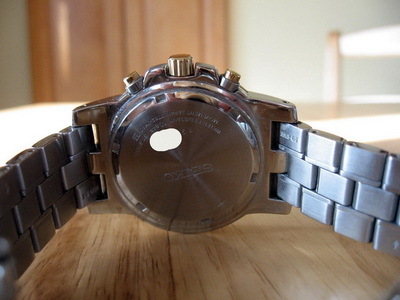 Since getting my Bulova automatic, I have become such a huge fan of automatic watches -- especially the see-through backs and open heart fronts ..... wonderful ingenuity. For sale are two matching vintage Mont Blanc Meisterstuck pens, one a fountain pen and the other a rollerball. I received these as gifts in the late 1980s. They have been used lightly and carefully, and although they show small signs of use, they have no major flaws and are in excellent condition. The fountain pen is a piston-filled black and gold Model 146 Meisterstuck with a medium 14k gold 4810 nib. Its serial number is CC105026. The rollerball pen is a black and gold Meisterstuck Classique Model 163 or 164. Its serial number is EK1484652. With the pens I am selling a Mont Blanc two-pen bordeaux (burgundy) leather pocket carry case, also in great condition. As you can see in the images, the pens fit very nicely in the case. In addition, I am selling 25 Mont Blanc unused rollerball refill ink cartridges (16 medium black, 5 fine black, and 4 medium blue). Last edited by churchilllafemme on Thu Aug 22, 2013 5:58 pm, edited 11 times in total. 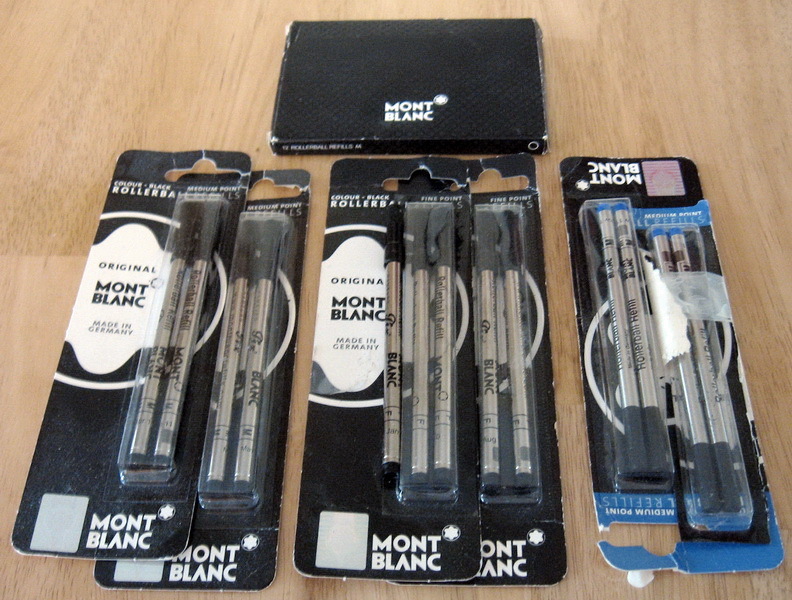 The Mont Blanc rollerball has sold. The other items are still available. The carry case has sold. The fountain pen and rollerball refills are still available. Last edited by churchilllafemme on Mon Aug 19, 2013 8:50 pm, edited 1 time in total. The fountain pen has been sold. All that is left is the rollerball refills. The price has been lowered on the rollerball refills: now $60 for 25 refills. churchilllafemme wrote: The price has been lowered on the rollerball refills: now $60 for 25 refills. This thing retails for $150 or so. I lost the silver thing at the end of it and am not using the pen. 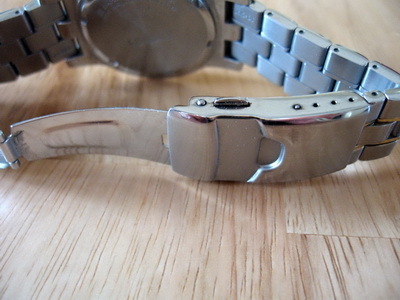 This shows the silver thing missing. Wont notice it in the shirt pocket and maybe someone is handing and can make an insert, whether silver or rubber or what not. Comes with a black visconti roller refill in it. Re: WTB - decent Cross pen and pencil box. Shave4Fun wrote: Box for two Cross writing instruments. Let me know what you have and what you want for it. Got a Falcon Parl, light grey fedora, 2 inch brim, about a 5 1/4" crown height with a center dent bash. Great shape with liner and sweatband. 1 1/2 inch grey ribbon and keeper has a splice of pink. $120 shipped CONUS with the Falcon Park box it came in. Last edited by churchilllafemme on Sun Mar 09, 2014 11:53 am, edited 5 times in total. Nice watch John. What's the white spot on the back of the case? brothers wrote: Nice watch John. What's the white spot on the back of the case? That's just where I covered the serial number. 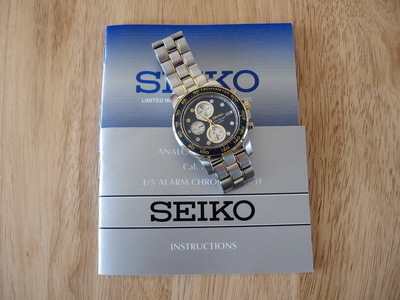 Price reduced on the less-than-a-year-old Seiko, to $110. They sell new for $145-185.